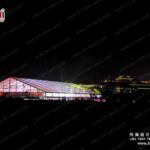 As more and more popular of tents application for various events,exhibitions,conferences,caterings,weddings and other purposes,it will spoil your events if Air Conditioner is absent in Summer. 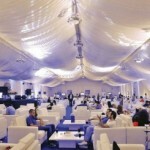 Hence,AC becomes one of essential facilities for the tentage package. 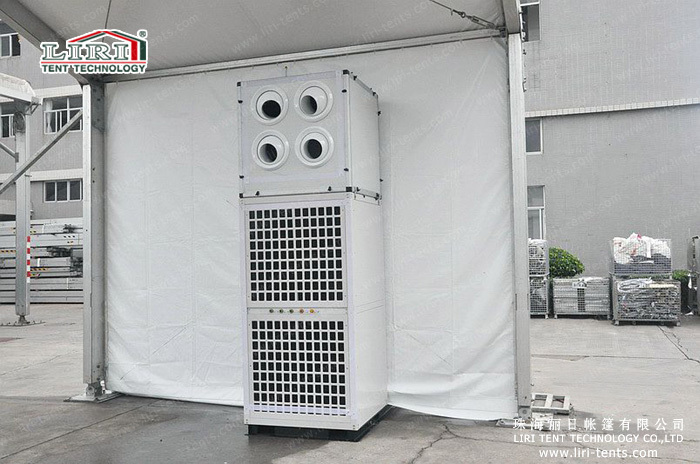 Four types tent air conditioners are available: ordinary cabinet air conditioner,ordinary straight blowing air conditioner,air-conditionier with air-supply pipe,and integral air-conditioner. 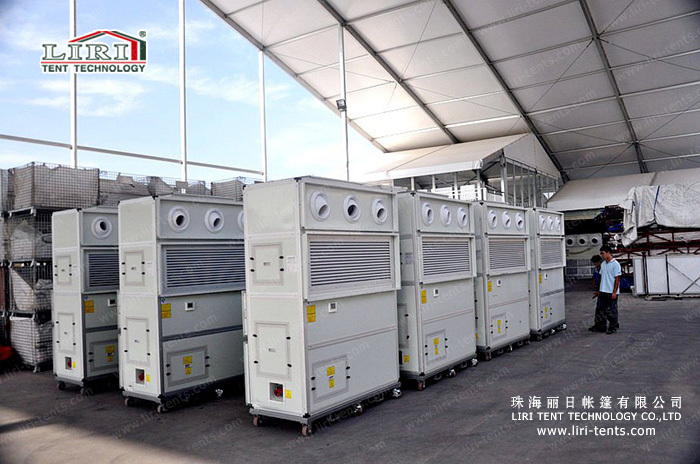 Due to the low cost,Ordinary Cabinet Air Conditioner and Straight Blowing Air Conditioner are widely used in the field of tent rental. However,with better appearance,superior performance, Integral Air Conditioner has gradually replaced the formers. What are the advantages of Integral Air Conditioner? 1. Integrated design,immediately working when power connected,transportation and installation convenience. 2. 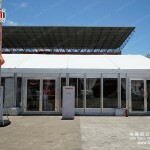 Can be installed inside or outside the room,which can meet different requirements of usage. 3. 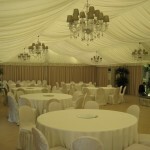 Cooling air volume can be adjusted on three levels,high,medium & low. 4. Cooling,heating,dehumidification,three functions combined in one. 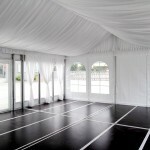 Supposing if there are some air-supply pipes that like chimneys inside of your wedding tent,is it unpleasing to see it? 10HP,20 HP,30 HP and 40 HP specifications are available. The cooling capacity of Integral Air Conditioner surpasses a lot 5HP household Cabinet Air Conditioner. 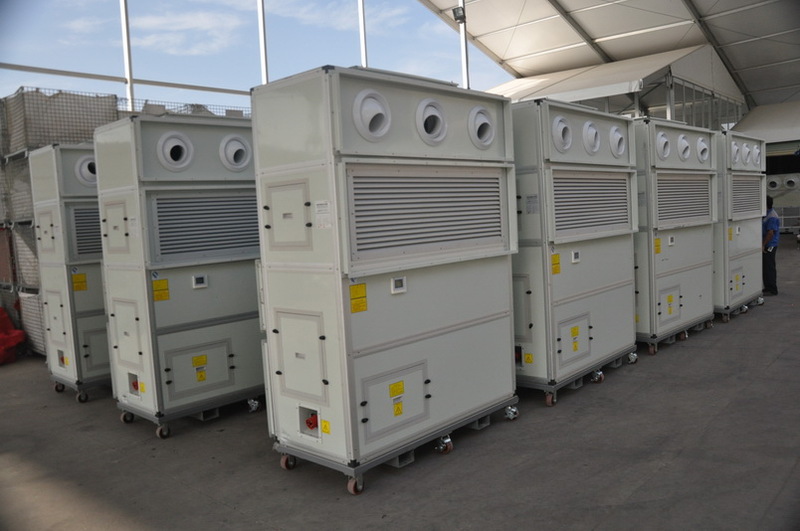 The cooling capacity of Integral Air Conditioner is 5000m2/H. 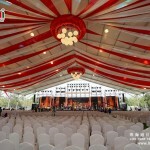 So it’s unncessary to install more than 10pcs Ordinary Cabinet Air Conditioners inside your tents,otherwise,much space will be wasted.